The first phase of the Corinthia development. By now it is no secret that the government’s economic model is heavily dependent on accelerated construction projects. Money is injected in the economy, growth takes place and the government’s political cycle is fuelled. But this comes at a cost. Environmental and social impacts are given secondary importance as is the longer-term economic cycle. Beyond the government’s current political cycle, can Malta sustain an economy that gobbles up more and more land for speculative development projects? And should the taxpayer fund this through the massive discounts given to certain land developers? The Corinthia development project in St Julian’s is yet another case in point in this regard. Corinthia is a successful business mostly known for its touristic contribution to the Maltese economy and beyond. 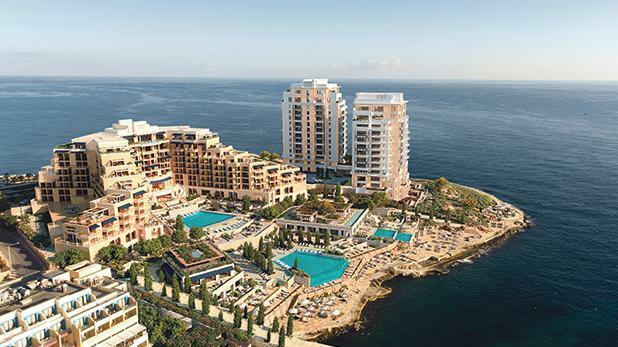 Hats off to it for this, and for its plans to have Malta’s first six-star hotel. But given that its plans involve public land andthe development of real estate, one expects that the public interest is prioritised by the government in its negotiations with the private company. Is the government pleased that the footprint for real estate on the land in question is estimated to be twice as large as the built-up area for tourism purposes? Is the government pleased to give a discount of €70 million to Corinthia for the land in question, when it was valued at €121.7 million by Deloitte? Is the government equally generous with middle class and working-class taxpayers, with pensioners, with persons in dire need of social housing? I will remind readers that last October I wrote to the European Commission and to Malta’s State Aid Monitoring Board on a similar development project close by: the controversial DB project in Pembroke. My letters queried whether the government of Malta was conforming to European and Maltese State aid legislation when it decided to sell the former ITS site to the developers for a mere €15 million, when the same government’s own master plan for the area had valued the land at €8,500 per square metre, which would amount to a total of €204 million for the land at stake. Malta’s State Aid Monitoring Board is yet to reply to my queries. The European Commission did reply, using bureaucratic jargon that helps one understand why so many people are becoming sceptical of the European dream. In a nutshell, the European Commission told me that I am not able to make such questions unless I am a disadvantaged competitor. Right, so common citizens have no right to query the EU on State aid involving public land. But an immediate question comes to mind. Who are the disadvantaged competitors? And are they not complaining because they too will get public land at discounted prices, courtesy of the government but paid by the taxpayer? These two projects are the two newest instances of the symbiotic relationship between the government and big developers who depend on each other for economic growth and State support respectively at the expense of other concerns. Only that this time around, the government had postponed the revision of the Paceville Masterplan just before the last general election following public outcry. What it is now offering is worse: the parcelling out of public land on an ad hoc basis. The government will tell aggrieved residents that in return for such development, local councils will get money through the planning gain: around one million euros in the case of the Corinthia development. Maybe the government should also say that despite the national surplus, it recently decided to take €2 million each from the nearby St Julian’s and Sliema local councils from the Development Planning Fund without bothering to consult them. I am quite pessimistic that the government will change its economic model, but I do appeal to readers to give preference to the Malta they want when deliberating on such issues.